"John Tishman is a true pioneer in the Construction Management industry. Through his CM leadership, some of America's most well-known buildings have been brought to successful completion." 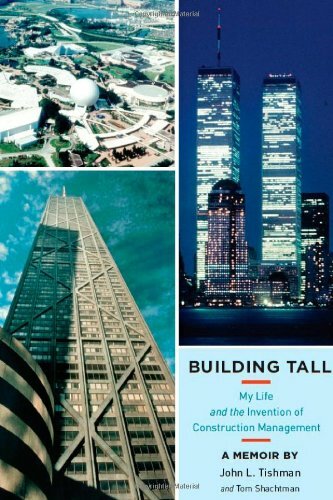 "Building Tall will provide readers with insights into John Tishman's career as a visionary engineer, landmark builder, and great businessman. Responsible for some of the construction world's most magnificent projects, John is one of the preeminent alumni in the history of Michigan Engineering. His perspectives have helped me throughout my time as dean, and his impact will influence generations of Construction Management professionals and students." The world's first three 100-story towers---the original "twin towers" of the World Trade Center in Manhattan and the Hancock Tower in Chicago. This book will be of interest not only to a general public interested in the stories and personalities behind many of the most iconic construction projects of the post–World War II period in the United States but to students of engineering and architecture and members of the new field of Construction Management.